Glencadam distillery is located in the Scottish highlands. It was founded in 1825 and has had a succession of owners. It closed during both World Wars and once again in 2000. It was bought in 2003 by independent Scottish company Angus Dundee Distillers. In 2005 their first release was the 15 year old single malt, which was re-released in 2009 with new packaging. 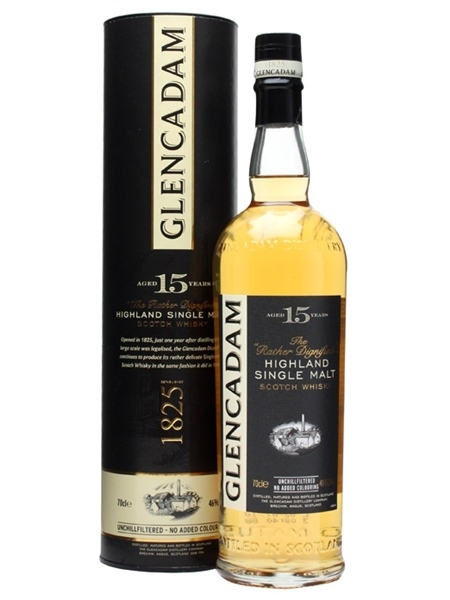 Glendcadam 15 is matured in ex-bourbon barrels. All Glencadam malt whisky is non-chill filtered and natural colour and released at 46% ABV.